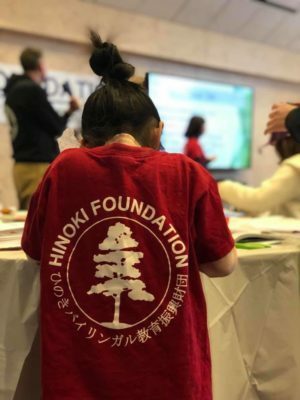 This February, Hinoki Foundation once again collaborated with Michigan State University’s Shimane@MSU program and the JBSD Foundation to host a successful “Kids & College Students” program, now in its fifth year. 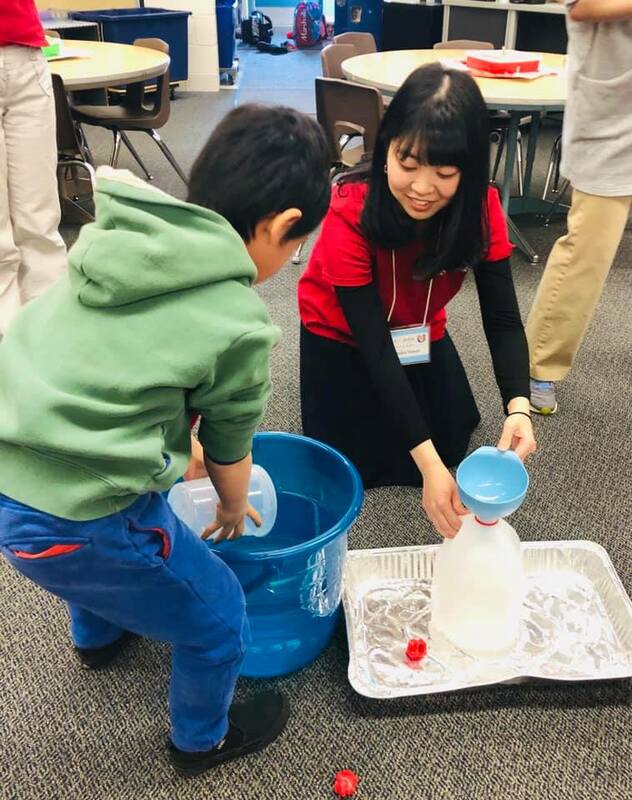 A delegation of 12 Shimane University undergraduates and their professor, Dr. Naomi Kagawa, traveled to southeast Michigan after completing a special two-week course in East Lansing, to engage in several hands-on activities with local families and schools. Hinoki Foundation supports the Kids & College Students Program by coordinating schedules, placing students with homestay families, and connecting Shimane University students with Michigan K-12 students learning Japanese language and culture through school tours, interactive interview games, presentations, and Hinoki Kai cross-cultural exchange events, with the support of a generous grant from the JBSD Foundation. 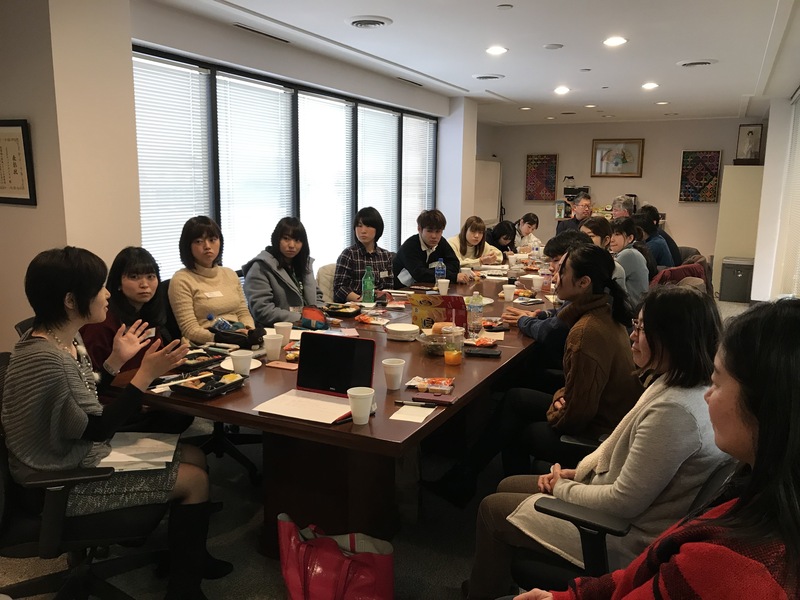 On Wed., Feb. 20, the Shimane University delegation participated in a discussion with JSD Women’s Club board members and their college-age children about challenges faced by Japanese ex-patriate families residing in southeast Michigan. Dr. Kagawa and her students, along with Dr. David Wong of Michigan State University, and Dr. Anne Hooghart, Educational Research Coordinator for the Hinoki Foundation, met over lunch at the JBSD office in Novi with local ex-patriates Sanae Kitamura, Reiko Kitamura, Miwako Maeda, Kento Maeda, and Tsukasa Fujimoto. For about 3 hours, the group explored questions about cultural, linguistic, educational, and identity-related challenges facing Japanese families who relocate to southeast Michigan, as well as “kikokushijo” (returnee students repatriating to Japan after extended stays overseas). 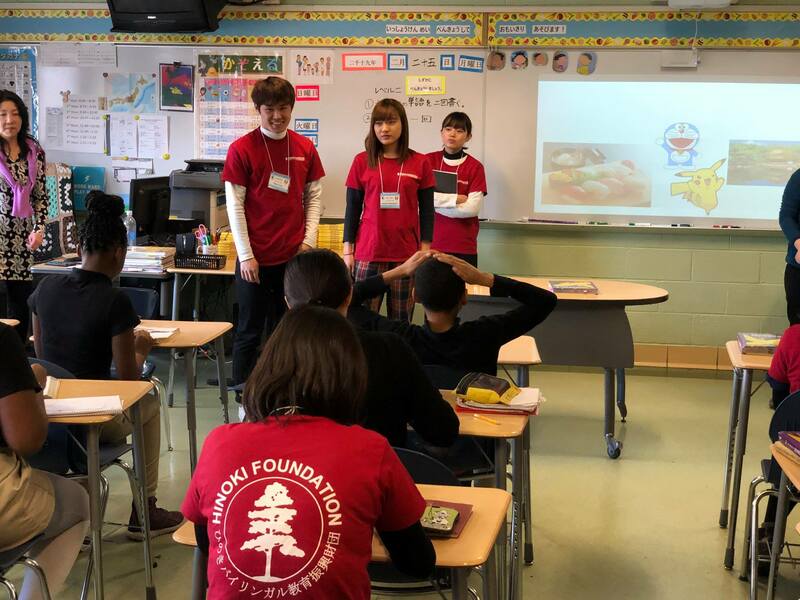 On Fri., Feb. 22, the Shimane University group observed classrooms at Niji Iro Elementary School in Livonia, MI, and on Mon., Feb. 25, visited the Foreign Language Immersion and Cultural Studies (FLICS) school in Detroit, MI. Both of these public schools offer partial-immersion in Japanese language learning for students in grades K-6. The visitors offered the American students of Japanese opportunities for bilingual/bicultural interaction. The delegation, which includes several aspiring educators, also toured the Japanese School of Detroit (JSD) located in Novi, MI, one of the largest Japanese Saturday schools in the world. 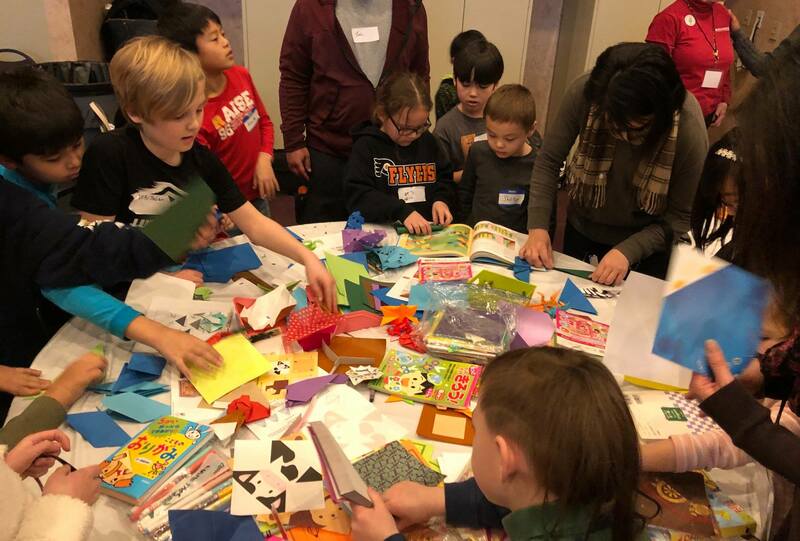 On Sun., Feb. 24, the Kids & College Students program culminated with a Hinoki Kai gathering in Northville, attended by over 100, at which the university students made original presentations in Japanese about selected aspects of Japanese culture, and led small groups in hands-on cultural activities, such as origami, calligraphy, and so on. Music major Mei Yamamoto also gave a special trumpet solo presentation at the event. During their long weekend in southeast Michigan, each university student stayed with a host family, through homestays arranged by Hinoki Foundation volunteers, in the Novi, Livonia, and Ann Arbor areas. After returning to Japan, Kids & College Students participants often continue their cultural and language exchange with their host family and friends in Michigan via social media. The generous support of the JBSD Foundation for the Kids & College Students program is greatly appreciated!